Tickets for The Rolling Stones upcoming shows at The Prudential Center in Newark, NJ (Dec 13 and 15) go on presale today (Oct 20) at 9AM ET. 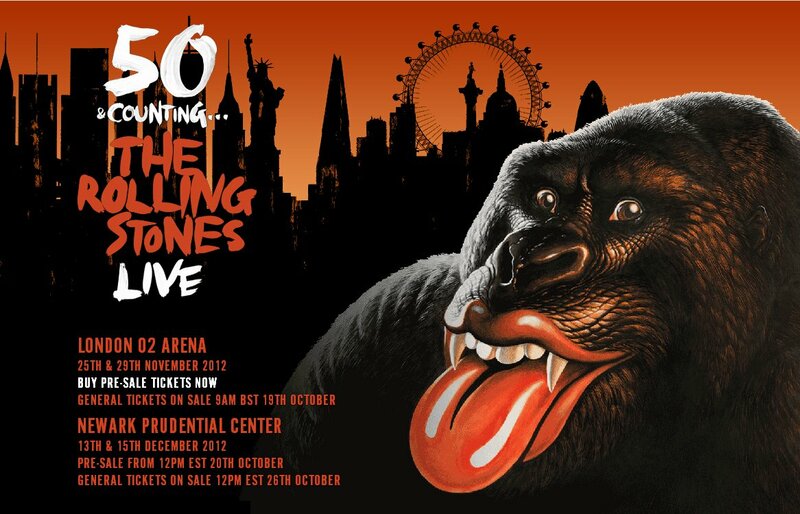 The Facebook Fan presale password is GRRRegoryUSA (which you can actually see even you are not a fan of The Stones on Facebook.) The American Express presale starts Monday, Oct 22 at 12:00 PM ET. General on sale begins Friday, Oct 26 at 12:00 PM ET. The Stones recently released a new single entitled “Doom and Gloom” which will be featured on their upcoming 50th Anniversary compilation album, GRRR!. GRRR! will be released on Nov 13 via ABKCO/Interscope. Though the London and Newark are the only live shows announced so far, Mick has teased the public with the possibility of more dates. Lyric video for “Doom and Gloom” and tour announcement video after the jump.